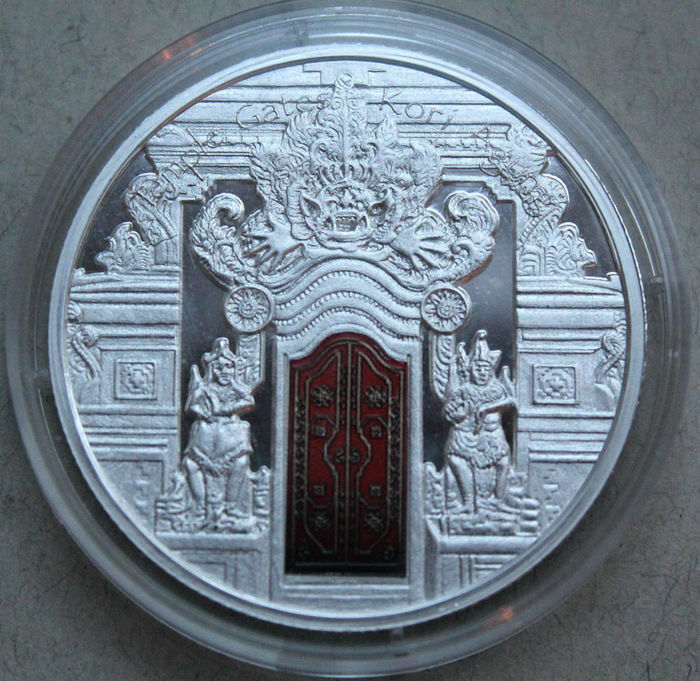 This silver coin, belonging to the "Temple Gates" series, which honors the most beautiful temples in the world and their characteristic access gates, is dedicated to Kori Agung, the monumental gateway leading to the innermost courtyard of Balinese temple of Taman Ayun. 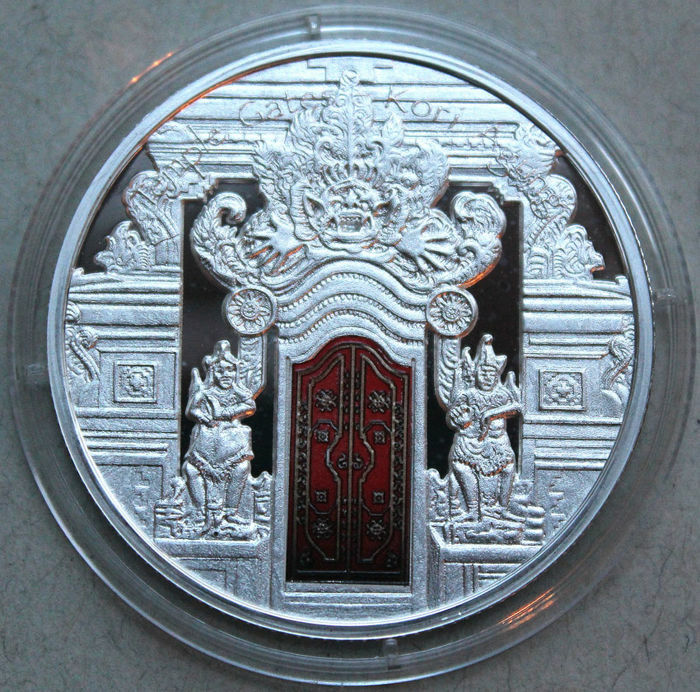 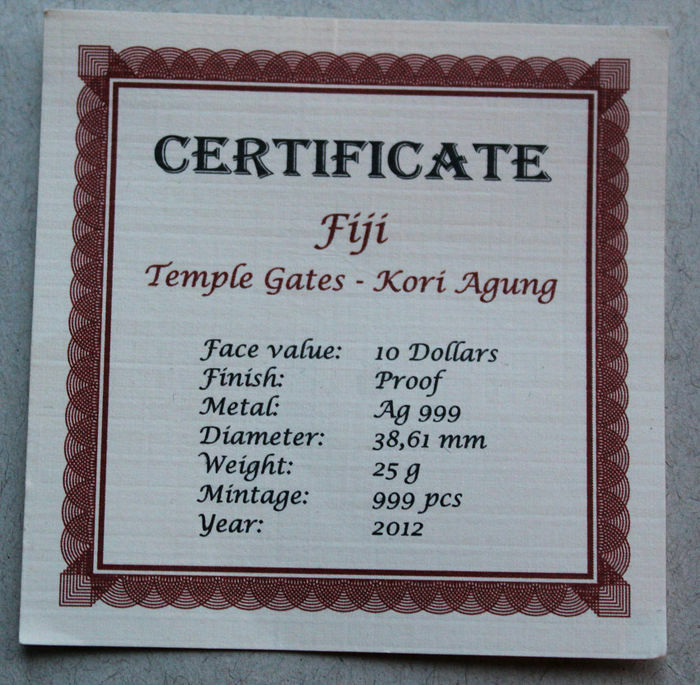 The coin’s reverse depicts a partially coloured representation of the monumental Kori Agung gateway plated with pure gold. 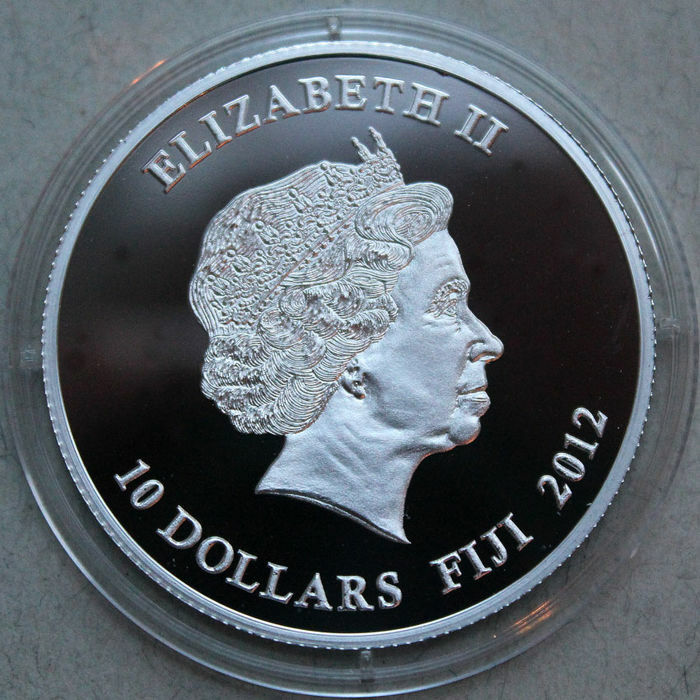 The Ian Rank-Broadley effigy of Her Majesty Queen Elizabeth II, the 2012 year-date, and the monetary denomination are shown on the coin’s obverse.